In New York City, in April of 1874, a most unusual event took place. 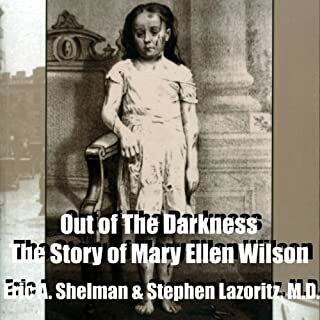 A severely abused nine-year-old girl named Mary Ellen Wilson became the first child in America to be rescued from an abusive home. She had been beaten, burned, slashed with scissors, locked in a closet, and had never been outside of her tenement home in over 7 years. Thanks to the concern and dedication of a missionary named Etta Wheeler, the child was finally saved from her cruel captors. 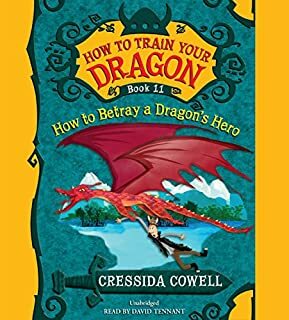 I’m going to have to just read this book for myself, instead of listening to it while crocheting. 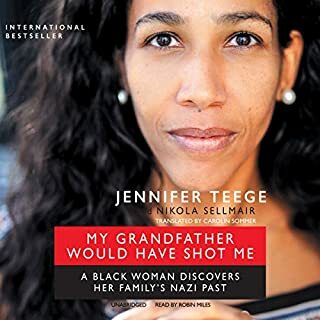 When Jennifer Teege, a German-Nigerian woman, happens to pluck a library book from the shelf, she has no idea that her life will be irrevocably altered. Recognizing photos of her mother and grandmother in the book, she discovers a horrifying fact: Her grandfather was Amon Goeth, the vicious Nazi commandant chillingly depicted by Ralph Fiennes in Schindler's List - a man known and reviled the world over. Very moving, thought-provoking story ... the person reading the book is somewhat distracting from the story, however. Love these books, and David Tenant is the perfect person to perform the audio book! 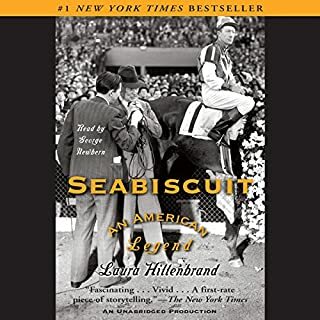 I've read this book probably twenty times, at least ... Laura Hillenbrand is one of the greatest writers who has ever lived, in my opinion ... and Seabiscuit, one of the greatest horses. Such an exciting, inspiring true story of just the right team coming together to bring out the best in one another. I think that, from this example, we should all look at the person next to us with "new eyes" ... of what might they be capable, if we just took the time and effort to engage them ... get to know them ... nurture them ... give them the tools and/or the venue that will help them to bloom. In so doing, we will bloom, ourselves. Thank you, Ms. Hillenbrand, for your years-long effort to fight through your own difficulty to bring this team to life for the world once again ... for this tribute to some of God's greatest gifts to us humans (our spirit, and horses, in general, whose spirits are unmatchable gifts to us) ... for immortalising them, both for your own inspiration and for the appreciation of the descendants of these people and for the rest of us.